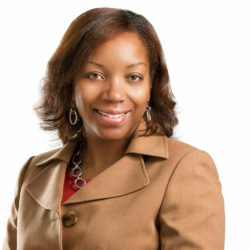 Kimberly L. Green is the CEO of Mendet Naturally, a Skin Care Solution Company. It was created inside her home September 2010 as a result of her niece having eczema. Mendet Naturally has been endorsed by pediatrician Dr. Rhonda Dickey who uses the cream for her hand eczema. 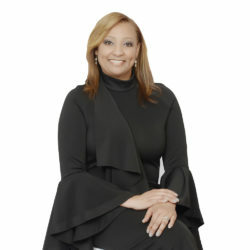 Kimberly grew up in a single-parent home with a strong Christian foundation and began her career in Corporate America in 1997. 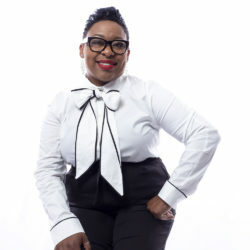 Resilience, perseverance, prayer, and dedication allowed her to obtain a Bachelor of Science degree in Finance from Louisiana State University in Shreveport, LA, December 2005. This most challenging experience taught her never give up and the only person that may hinder your success is you. She also assisted in rearing four God-children. Kimberly transitioned from Corporate America June 2017, after nineteen years, to dedicate full-time efforts to Mendet Naturally Skin Care. Tomika Carroll is currently owner of two businesses and co-owner of one: Divalashes and Brows by Tomika, Paralegal Services by Tomika and D&T Shaved Ice. 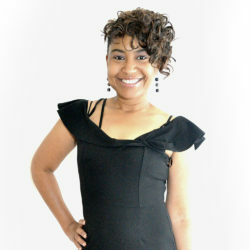 Tomika was born in Shreveport, Louisiana and raised in Grand Cane, Louisiana. She was raised by both parents in the home. In 1997, Tomika life changed completely, she became pregnant and it was no longer about her only but, she had a son at the age of 17. After having her handsome son, she became a full-time student and worked three different jobs. Her motivation and dedication helped her push harder to become the best parent as a single mother. 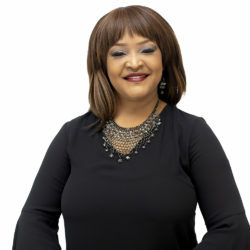 She attained an Associate Degree in Legal Assistant from Southern-University Shreveport, Louisiana, a Bachelor’s Degree in Criminal Justice from Louisiana State University- Shreveport, Louisiana and a Master Degree in Human Resources from Argosy University Online. Many years passed and she had another handsome son, but she continued to strive and push. There were many different obstacles that came her way. She worked with her Youth and Young Adult department at church, song in the choir, pledged Delta Sigma Theta Sorority, Incorporated. Tomika realized that she has more control over her success. She states that her passion lies within others. She love helping others whether its in the beauty industry or legal services. Her motto is. “Own your success and start living in your new identity”. Tomika mission in life is to be Christlike, inspire others, and the sky is the limit. Marlo Davis is the sole proprietor of Daelo Staffing, a full service staffing company, designed to help grow emerging businesses. She developed Daelo Staffing as a result of other business owners expressing their needs in areas of employee growth. Marlo is the daughter of Freddie and Margaret Mims. She was was raised in Haughton Louisiana, by her grandmother, Josephine Rhodes (deceased) and her mother Margaret Mims. She joined the United States Army Reserve at age 17, where she received her initial training as a Personnel Records Specialist (75 Delta). With over 25 years of Human Resources/Payroll experience in Corporate America, she now assists other entrepreneurs in managing their businesses. She is a proud veteran of the United States Military, Operation Desert Shield/Desert Storm. She is also the very proud mother of three exemplary children, Candace Hall (Realtor, Keller Williams), Tracey Davis (Film Director, Howard University) and Jeremiah Mims (Musician). Of her professional accomplishments she considers being the mother of three wonderful children her biggest achievement and the hugest blessing. She now adds “author” to her list of accolades armed with the understanding that she was already a winner from the beginning. Cyteese Alexander was born on April 17,1987 and raised by her grandmother in Oxford, N.C. where she was brought up in a Christian based home and taught about God. Cyteese is a loving,kind-hearted, individual who would go the extra mile for anyone who may be in need. She believed she owes a lot of that to her grandmother who instilled those values into her at a young age. At the age of 12 Cyteese moved to Raleigh,N.C. with her mother, stepfather and siblings where she continued her education. Cyteese Alexander walked across the stage and received her GED. Even though it was not a high school diploma, Cyteese walked across the stage with her head held high because through all the adversity that she has faced she was very proud of this accomplishment. Cyteese Alexander was introduced to liturgical dance, and to this day at the age of 31, she continues to offer her gift before God. She believes in giving God all that she has wholeheartedly. Cyteese answered the call that was over her life at a young age and preached her initial sermon at the age of 21. She is a wife, and a mother of 4. She always says that her children are her “WHY”. She teaches them to never give up on their dreams and that they can be whatever they want to be, but always keep God first. Cyteese’s mission in life is to not only share her story with others, but she believes that she must also share how she came out so that others can too. Kathy C. Levingston is the owner of Bea Destined Designs, LLC, where she creates custom jewelry, homemade soaps, hand sanitizers and hand poured candles. Kathy began crafting with her mother when she was ten years old and simply fell in love with the art of hand making items. Even at a young age, Kathy knew she wanted to sell her self-made creations. In 2005 she decided to begin the business she had always dreamed of, which was originally named “Designed 4 U”. The next few years would prove challenging, as Kathy’s mother suddenly became very ill. During that time, Kathy was a wife, a mother, worked a full-time job, ran a business, was a full-time college student, and helped take care of her ailing mother. Kathy holds tight the values she was raised with. She was taught the value of hard-work, but most of all she learned that she could accomplish all things through Christ who gives her strength. Her faith in God has allowed her to persevere through the difficult times. Kathy’s mother always told her when times get tough you must go into your prayer closet. Kathy believes the battles in life are fixed, we have already been equipped to win . 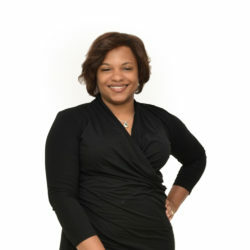 Jameshia Morgan was born and raised in Jacksonville, NC. and is the mother of three children, Damon, Antonio, and Dominique. She is also a grandmother to Aaliyah and Antonio as well as another grandson on the way! With so many inconsistencies in childhood, Jameshia learned early on what it was to add value to herself, taking what would be to many, very dire circumstances she still managed to make all of her obstacles, stepping stones. Jameshia’s strong will and determination would eventually teach her the power of endurance, great work ethic, and to fight for what she believed in even when others quit. Jameshia’s mission is to be a change agent, demonstrating to both women and men that they were born to “Win from the Beginning!” Jameshia believes that one can never fulfill God’s plan for their own lives attempting to walk in another person’s lane! Dr. Markey W. Pierré is a trailblazer and a pioneer in many non-traditional roles for African American women. She has successfully bridged the gap between north and south Louisiana by developing effective strategies to achieve meaningful changes for client initiatives as the president and managing partner for Southern Strategy Group of North Louisiana. Dr. Pierré was the youngest and the first African American to hold the title of Chairman of the Board for the Independence Bowl in 2006. In 2008, she added to that list of firsts when she was elected the first African American woman to lead the Greater Shreveport Chamber of Commerce as Chairman of the Board. A native of Princeton, LA, Dr. Pierre’ received her B.S. 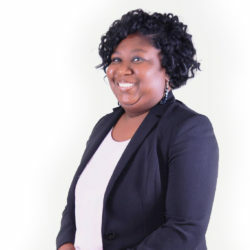 in Business Administration from Louisiana Tech University, her MBA from Nova Southeastern in Ft. Lauderdale, FL, and finally her Doctorate in Business Administration from Walden University. Markey is a proud member of Union Mission Baptist Church #1 and Alpha Kappa Alpha Sorority, Incorporated. While she has received numerous awards and accolades from the community, what she believes matters most is that in all you have done — were you able to help someone in the process, did you make a difference?